Bring a salted pot of water to a boil. Cook shells for 9 minutes, or until slightly undercooked. Meanwhile, in a large skillet over medium heat, heat oil. Sauté onion and red pepper until onion is translucent. Add beans, garlic and jalapeños to the skillet. Cook until heated through. Stir in cream cheese. Turn off heat and stir in cilantro. 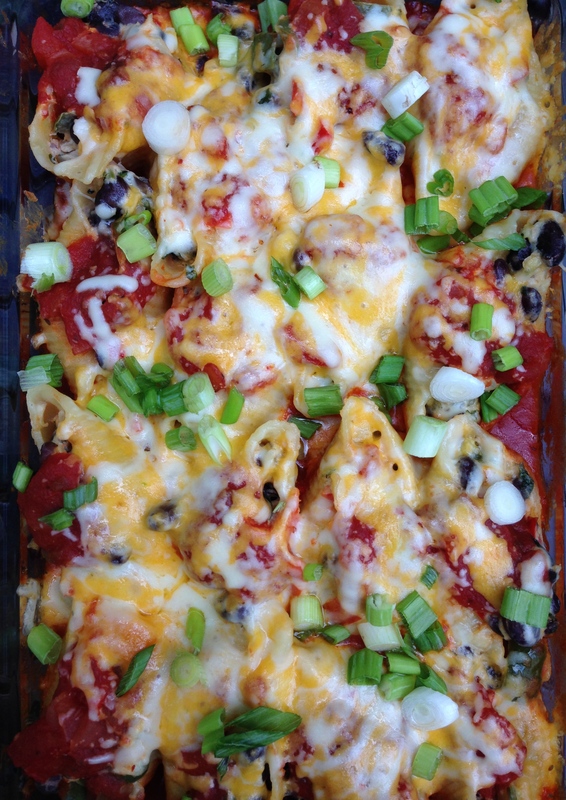 Pour salsa on bottom of 9×13 baking dish. 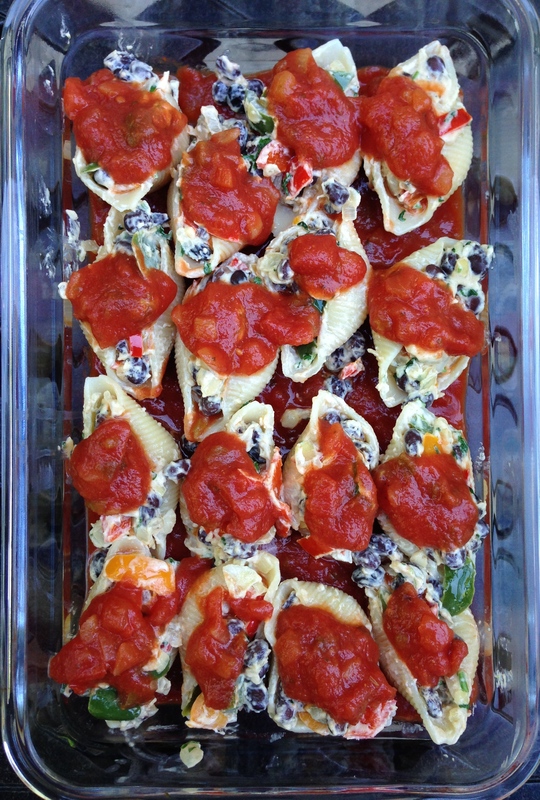 Stuff each shell with the vegetable mixture and place in the baking dish. 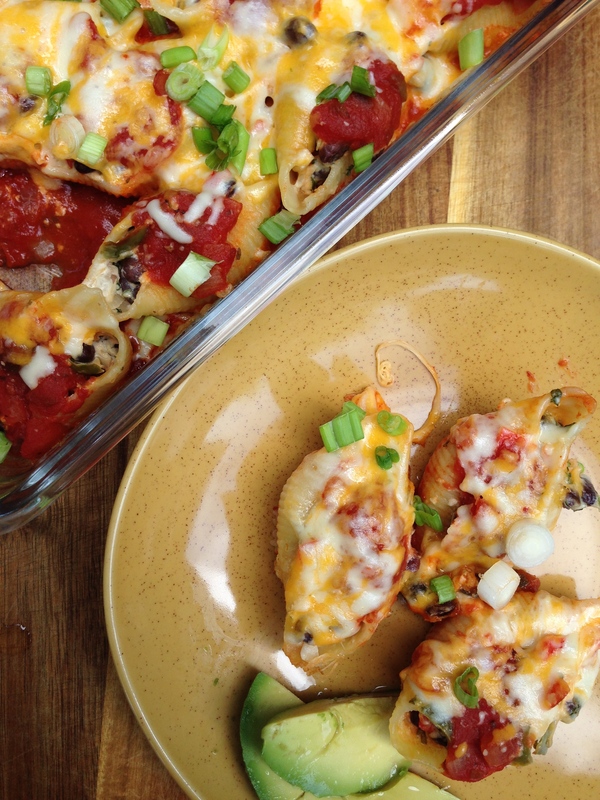 Top shells with taco sauce. Bake for 30 minutes. Remove the foil and add the cheese. Bake for an additional 15 minutes. 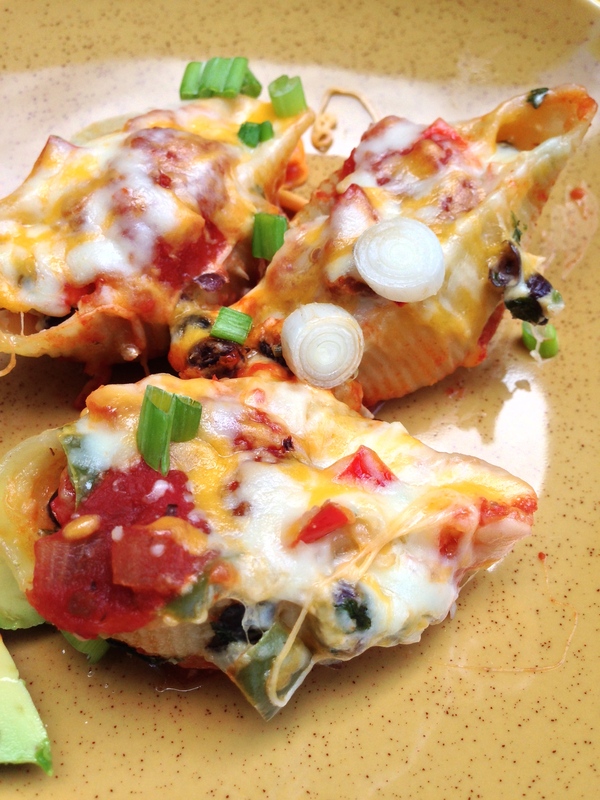 Serve shells topped with green onions. It looks amazing. I wish I could buy wheat free jumbo shells! Thank You.Whole Foods Market has a wheat free shells.